Coil steel gondolas are used to transport coils of steel. 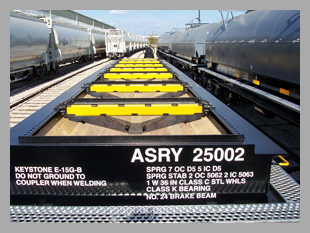 These cars have a capacity of 286,000 lb gross rail load with a trough length of 42 ft long and can handle coils with a diameter from 30"to 84". These cars can be equipped either with or without covers.